6.1 Fossils are the preserved evidence of ancient life. Fossils document the presence of life early in Earth’s history and the subsequent evolution of life over billions of years. 6.2 Evolution, including the origination and extinction of species, is a natural and ongoing process. Changes to Earth and its ecosystems determine which individuals, populations, and species survive. As an outcome of dynamic Earth processes, life has adapted through evolution to new, diverse, and ever-changing niches. 6.3 Biological diversity, both past and present, is vast and largely undiscovered. New species of living and fossil organisms are continually found and identified. All of this diversity is interrelated through evolution. 6.4 More complex life forms and ecosystems have arisen over the course of Earth’s history. This complexity has emerged in association with adaptations to new and constantly changing habitats. But not all evolution causes greater complexity; organisms adapting to changing local environments may also become simpler. 6.5 Microorganisms dominated Earth’s early biosphere and continue today to be the most widespread, abundant, and diverse group of organisms on the planet. Microbes change the chemistry of Earth’s surface and play a critical role in nutrient cycling within most ecosystems. 6.6 Mass extinctions occur when global conditions change faster than species in large numbers can adapt. Mass extinctions are often followed by the origination of many new species over millions of years as surviving species evolve and fill vacated niches. 6.7 The particular life forms that exist today, including humans, are a unique result of the history of Earth’s systems. Had this history been even slightly different, modern life forms might be entirely different and humans might never have evolved. 6.8 Life changes the physical and chemical properties of Earth’s geosphere, hydrosphere, and atmosphere. Living organisms produced most of the oxygen in the atmosphere through photosynthesis and provided the substance of fossil fuels and many sedimentary rocks. 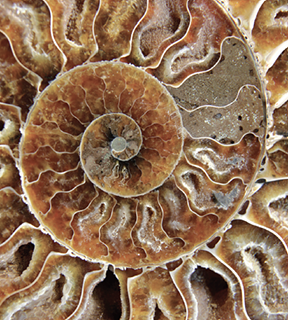 The fossil record provides a means for understanding the history of these changes. 6.9 Life occupies a wide range of Earth’s environments, including extreme environments. Some microbes live in rocks kilometers beneath the surface, within glacial ice, and at seafloor vents where hot fluids escape from the oceanic crust. Some of these environments may be similar to the conditions under which life originated, and to environments that exist on other planets and moons.